Raytheon Company’s Standard Missile-6 (SM-6) successfully engaged a surface target – the decommissioned USS Reuben James (FFG-57) – in a recent flight test. The test was a demonstration of the U.S. Navy’s concept of «distributed lethality», employing ships in dispersed formations to increase the offensive might of the surface force and enabling future options for the joint force commander. The USS John Paul Jones (DDG-53) fired the SM-6 during the test; another Air Defense Arleigh Burke Class Destroyer was on station as the assist ship. 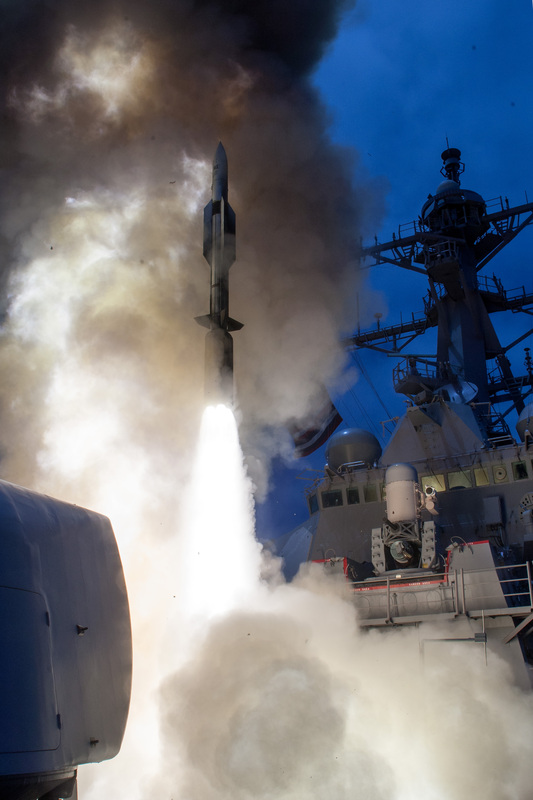 The mission validated that the legacy Anti-Surface Warfare (ASUW) capability of the Standard Missile-2 (SM-2) family of missiles and the Mk-7 Aegis Weapon System (AWS) has successfully carried over to SM-6 and the latest Aegis Destroyer baseline 9. The investment in the Standard Missile family resulted in an affordable SM-6 effector that continues to perform beyond expectations. 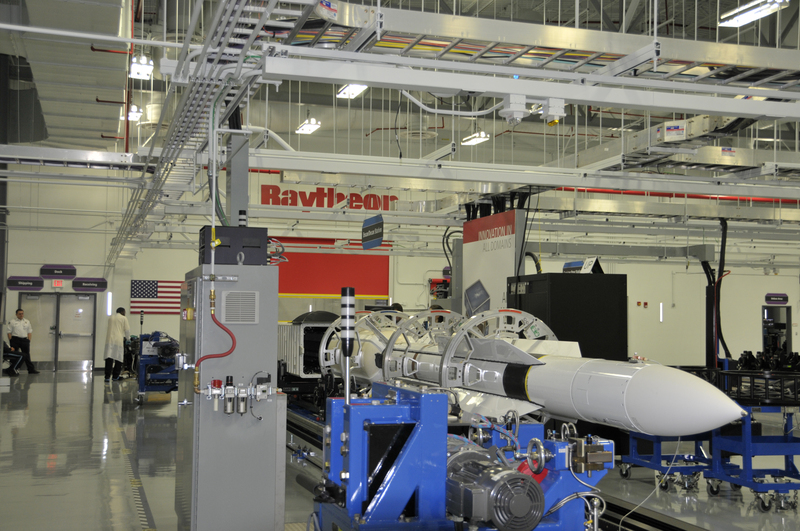 «This test event demonstrated Raytheon’s decades of continued technological development and partnership with the U.S. Navy», said Dr. Taylor Lawrence, Raytheon Missile Systems president. «The ability to leverage the Standard Missile Family and the legacy AWS in newly fielded systems brings additional warfighting capability to the U.S. Fleet». In recent testing, SM-6 has shown expanded mission capability in three key areas: Anti-Air Warfare, Sea-Based Terminal and Anti-Surface Warfare. The tri-mission capability of SM-6 continues to emphasize its value by providing additional capability beyond its original intended mission. Raytheon has delivered more than 250 SM-6 missiles, which were deployed for the first time in 2013. 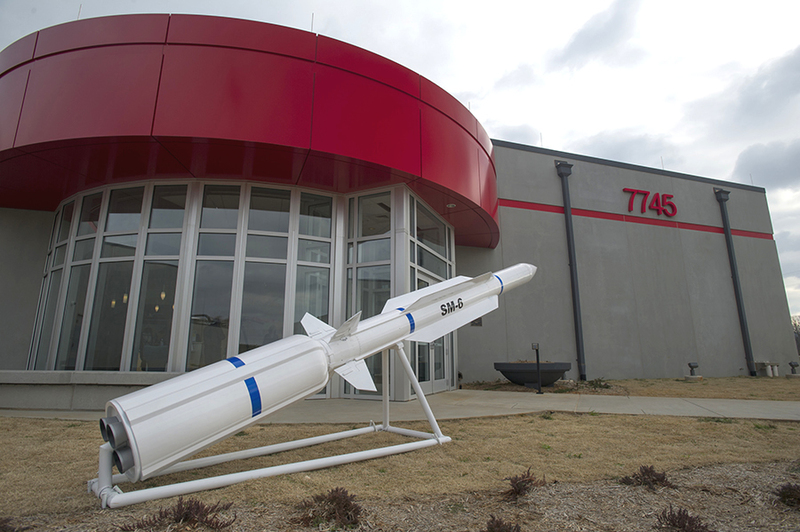 The missile’s final assembly takes place at Raytheon’s state-of-the-art SM-6 and SM-3 all-up-round production facility at Redstone Arsenal in Huntsville, Alabama. The Missile Defense Agency (MDA), U.S. Pacific Command, and U.S. Navy Sailors aboard the USS John Paul Jones (DDG-53) – the third Arleigh Burke-class Guided Missile Destroyer – successfully conducted a series of four flight test events exercising the Aegis Ballistic Missile Defense (BMD) element of the nation’s Ballistic Missile Defense System (BMDS). The flight test, designated Multi-Mission Warfare (MMW) Events 1 through 4, demonstrated successful intercepts of short-range ballistic missile and cruise missile targets by the USS John Paul Jones (DDG-53), configured with Aegis Baseline 9.C1 (BMD 5.0 Capability Upgrade) and using Standard Missile-6 (SM-6) Dual I and SM-2 Block IV missiles. All flight test events were conducted at the Pacific Missile Range Facility (PMRF), Kauai, Hawaii. MDA Director Vice Admiral James D. Syring said, «This important test campaign not only demonstrated an additional terminal defense layer of the BMDS, it also proved the robustness of the multi-use SM-6 missile on-board a U.S. Navy destroyer, further reinforcing the dynamic capability of the Aegis Baseline 9 weapon system». On July 28, at approximately 10:30 p.m. Hawaii Standard Time (July 29, 4:30 a.m. Eastern Daylight Time), a short-range ballistic missile (SRBM) target was launched from PMRF in a northwesterly trajectory. The USS John Paul Jones (DDG-53), positioned west of Hawaii, detected, tracked, and launched a SM-6 Dual I missile, resulting in a successful target intercept. On July 29, at approximately 8:15 p.m. Hawaii Standard Time (July 30, 2:15 a.m. Eastern Daylight Time), a short-range ballistic missile (SRBM) target was launched from PMRF in a northwesterly trajectory. The USS John Paul Jones (DDG-53) detected, tracked, and launched a SM-2 Block IV missile, resulting in a successful target intercept. On July 31, at approximately 2:30 p.m. Hawaii Standard Time, (8:30 p.m. Eastern Daylight Time) an AQM-37C cruise missile target was air-launched to replicate an air-warfare threat. The USS John Paul Jones (DDG-53) detected, tracked, and successfully engaged the target using an SM-6 Dual I missile. On August 1, at approximately 3:45 p.m. Hawaii Standard Time, (9:45 p.m. Eastern Standard Time), a BQM-74E cruise missile target was launched from PMRF. 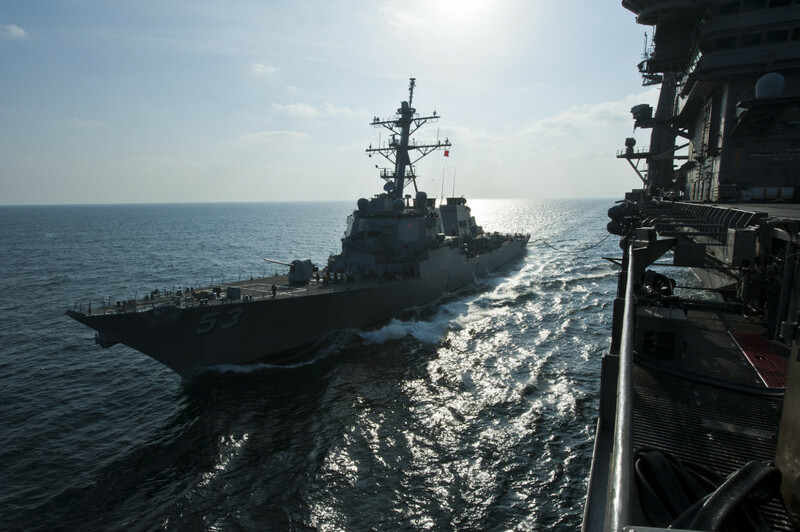 The USS John Paul Jones (DDG-53) detected, tracked, and successfully engaged the target using an SM-6 Dual I missile. The SM-6’s proximity-fuze warhead was programmed not to detonate after reaching the lethal distance from the target, thus providing the ability to recover and reuse the BQM-74E target. MMW Event 1 was the first live fire event of the SM-6 Dual I missile. 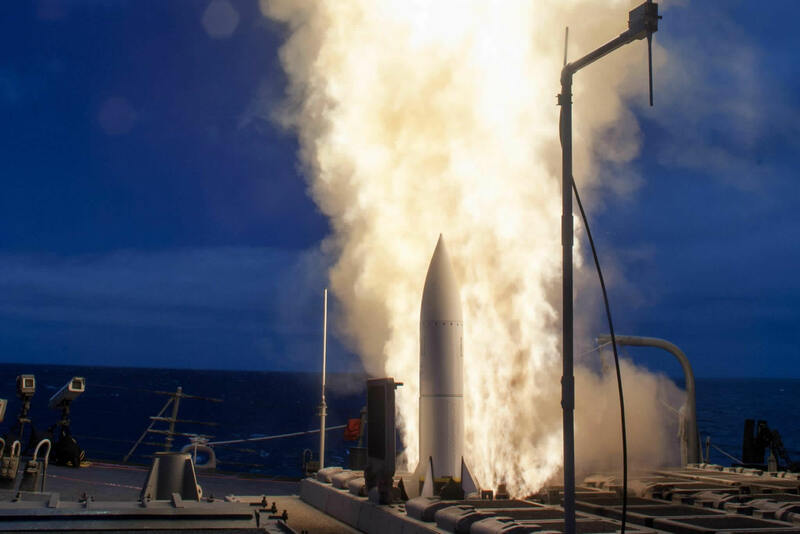 MMW Events 1 and 2 were the 30th and 31st successful ballistic missile defense intercepts in 37 flight test attempts for the Aegis BMD program since flight-testing began in 2002. The MDA will use test results to improve and enhance the Ballistic Missile Defense System (BMDS). Aegis BMD is the naval component of the BMDS. The MDA and the U.S. Navy cooperatively manage the Aegis BMD program. Operational elements of the BMDS are currently deployed, protecting the nation, our allies, and friends against ballistic missile attack. The BMDS continues to undergo development and testing to provide a robust layered defense against ballistic missiles of all ranges in all phases of flight.